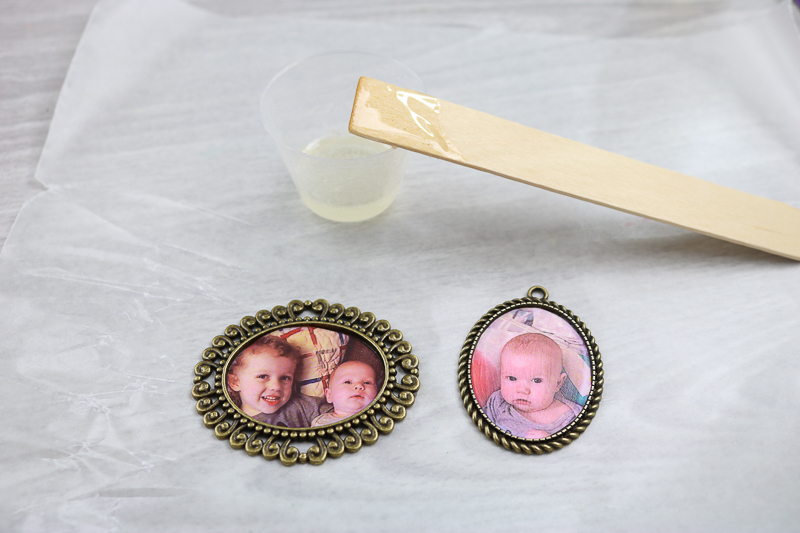 Mother’s Day is fast approaching and you may be searching for a DIY gift idea for mom. This year you can give her picture necklaces to celebrate all she does for you! Add in her favorite pictures of the kids or the grandchildren. 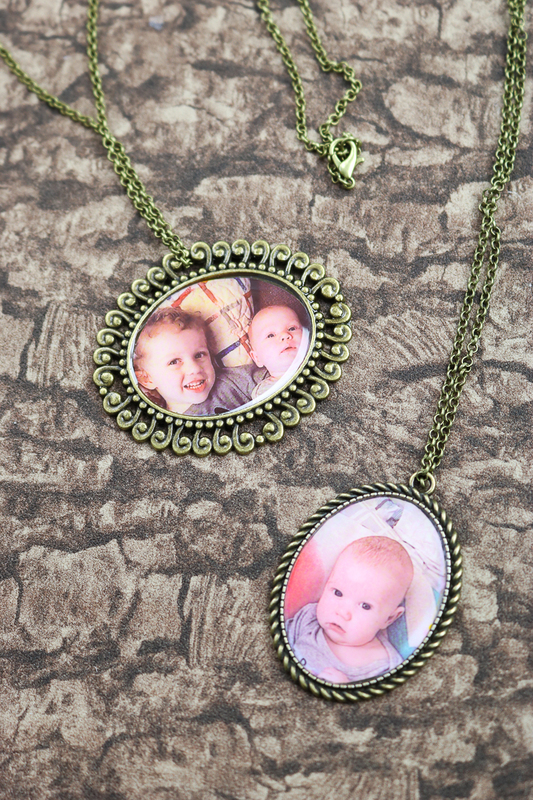 A custom necklace with her favorite children is just the way to show her you care this year. 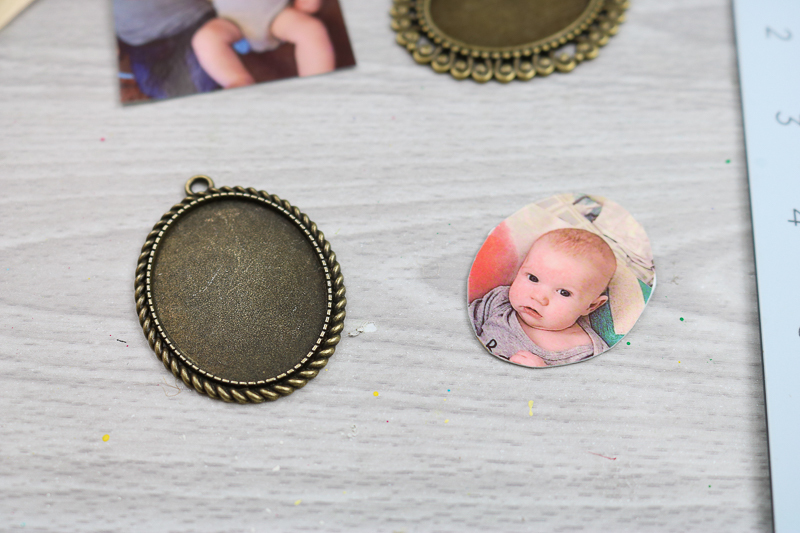 Use the bezel to determine the size of your picture. Trim the picture with either a craft knife or some scissors. Glue inside of the bezel using the Ultra Seal Multi-Purpose Sealer / Glue. Allow to dry completely. Apply a top coat of Ultra Seal Multi-Purpose Sealer / Glue with a paint brush. Allow to dry completely. This will seal your image and prepare it for the epoxy resin top coat. Then measure and mix the EnviroTex Jewelry Resin in the cups provided with the kit. Be sure to mix according to the package directions as you want to make sure that the product is completely mixed before pouring. You will also want to wear protective gloves during this step. 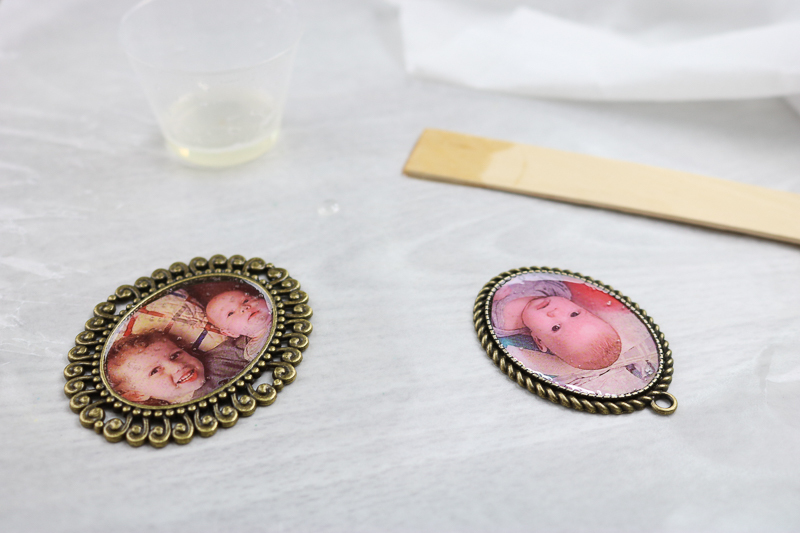 Protect your work surface then pour the mixed resin on top of the pictures in your bezels making an even layer. Pop any bubbles that rise to the surface by blowing across the bezel. 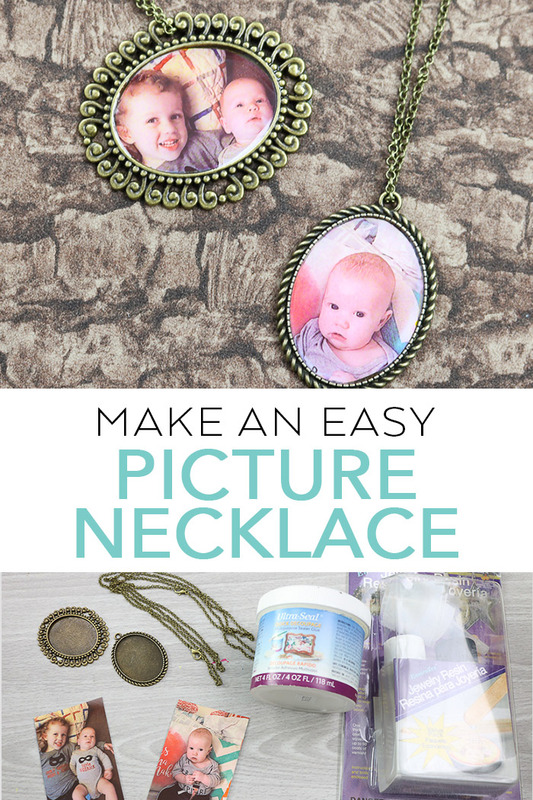 Once the bubbles have been removed, allow your picture necklaces to cure completely. I usually leave mine overnight. 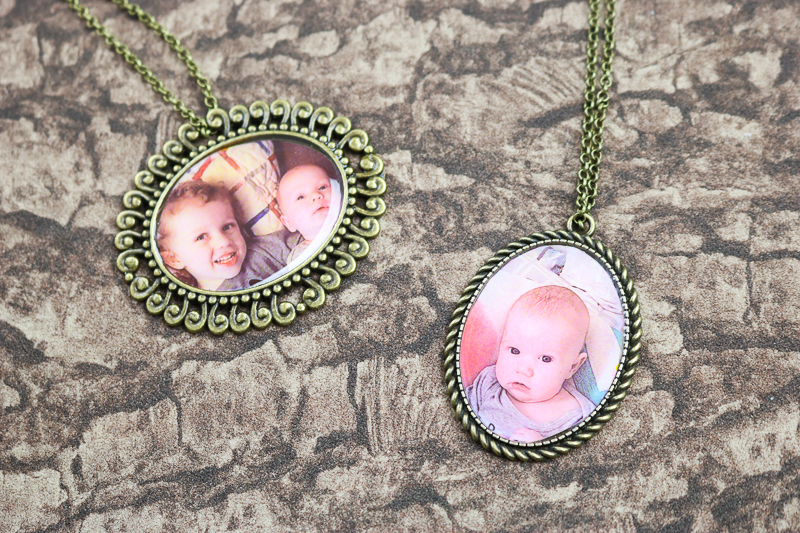 Then add your necklace chains and these picture necklaces are ready to give to mom or even grandma! 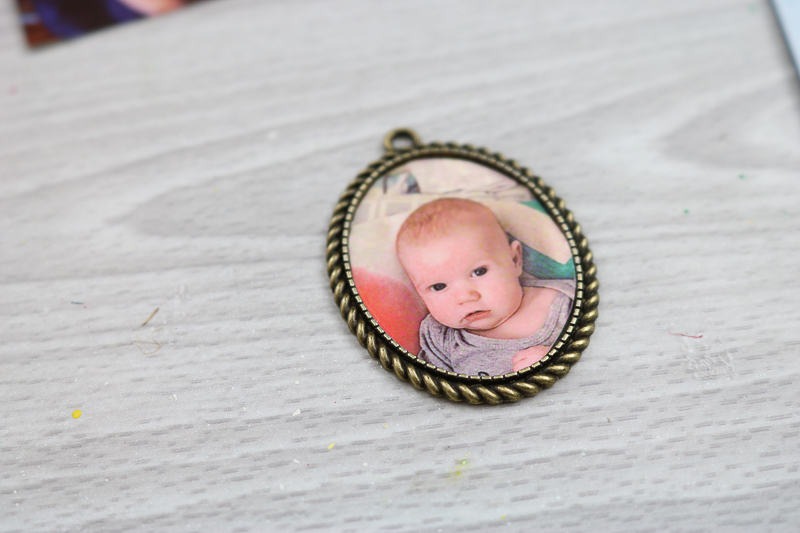 Making custom picture necklaces is really so easy. These are a great gift idea for Mother’s Day or even other times of the year. 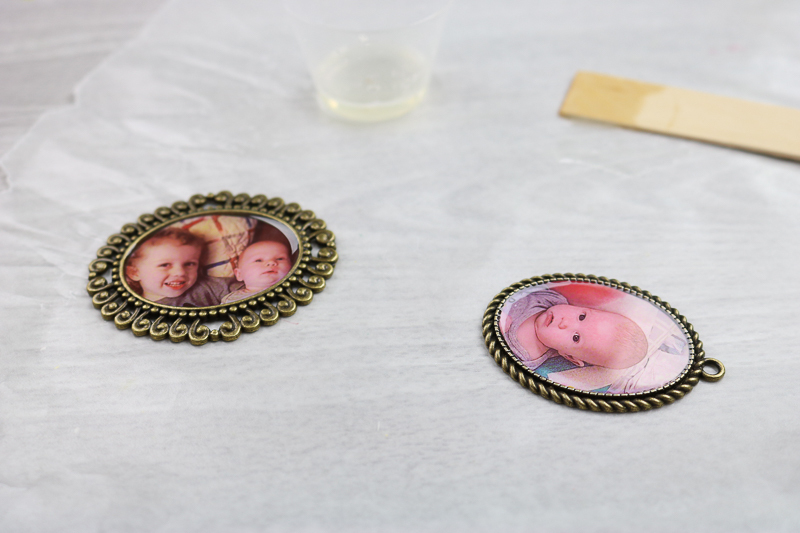 With such an easy technique, there really is no reason not to make a few of these for gifts. 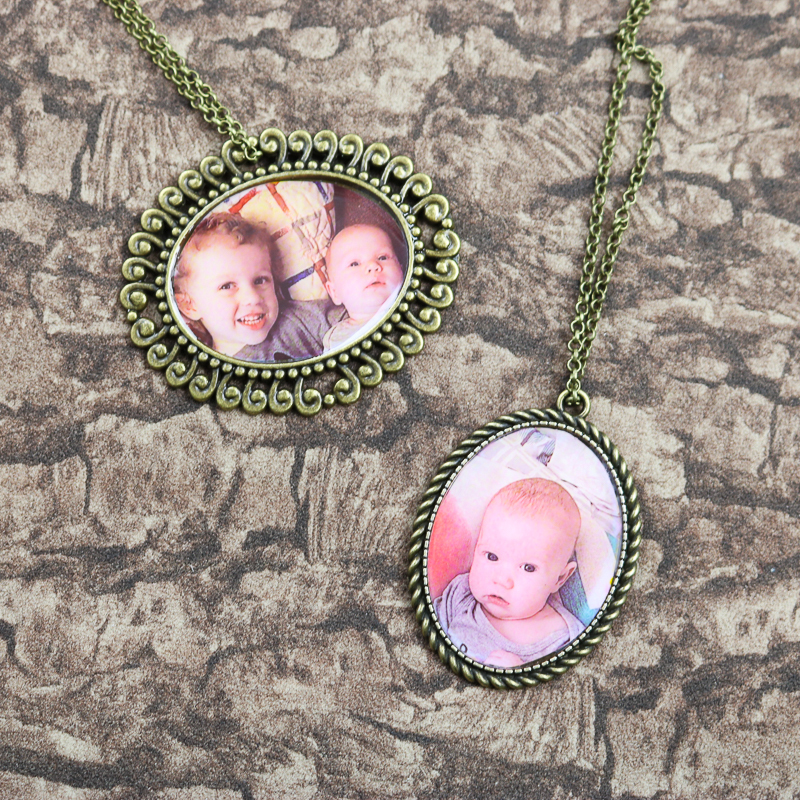 Will you make mom a custom necklace that she will treasure forever? 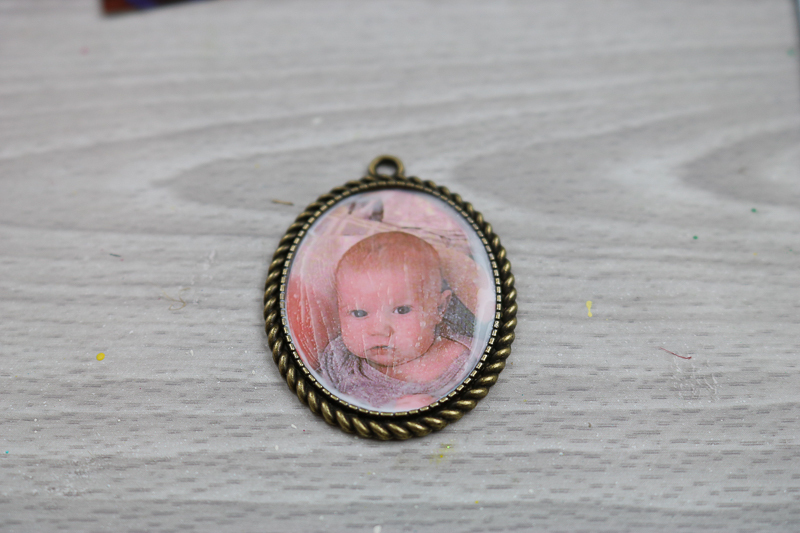 Be sure to order some bezels today and make a bunch of these picture necklaces for every woman on your gift giving list.